This is a foreign exchange guide to Guernsey, the British Pound Sterling currency plus GBP transfers and travel tips. The second-largest island in the Channel Islands, Guernsey has gone to great lengths to change its sleepy backwater image, and it's working. Flatter and less dramatic-looking than Jersey, Guernsey has some stunning beaches, particularly along the north coast, rugged cliffs in the south, and a lively, compact capital of St Peter Port. 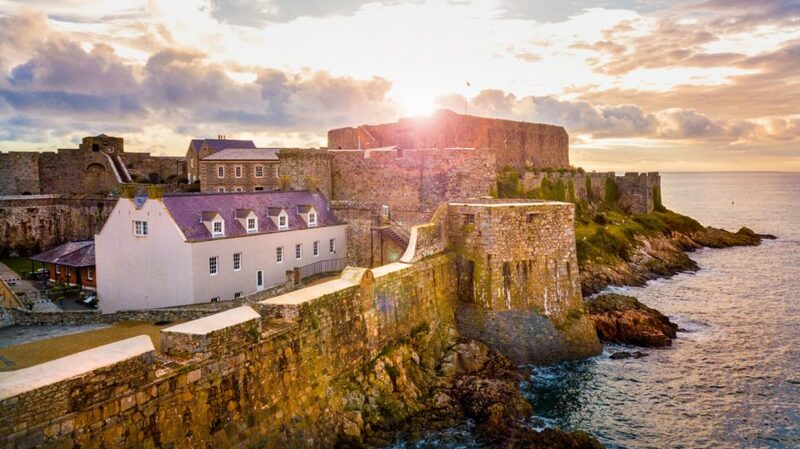 There's more to Guernsey than offshore banking and cream teas: there are Neolithic graves, Victorian forts and German fortifications to explore, adventure sports such as coasteering and rock climbing are on the rise, the north coast is excellent for watersports, and St Peter Port lures visitors in with its great dining scene. Like the rest of the Channel Islands, it is not part of the UK, but nonetheless it feels resolutely British. Yet due to its proximity to France and its quirky laws and customs it has a very unique feel to it. 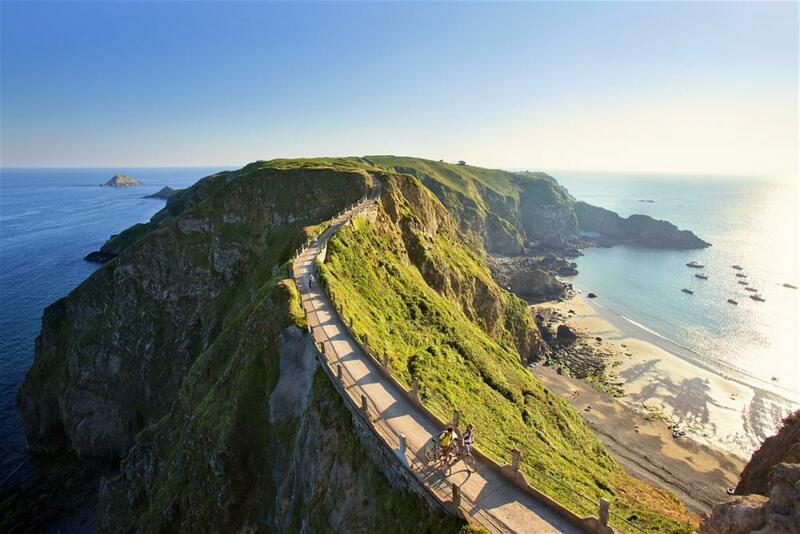 Guernsey is known for its number of spectacular walks. What currency to use in Guernsey? UK currency can be used in Guernsey, but Guernsey's own notes and coins are not accepted outside of Guernsey so make sure you change your currency before leaving. Each ATM will state whether it dispenses British or Guernsey pounds, so if you pay attention you can avoid picking up much local currency if you want to avoid that There are plentiful ATM machines in St Peter Port and at banks in outlying parishes. No VAT is charged on Guernsey. How to get around in Guernsey? Guernsey is largely flat and a pleasure to cycle around. Numerous rural lanes are designated Ruettes Tranquilles, where the speed limit for cars is 15mph and priority is given to cyclists, and there are designated cycle lanes in town and along the coast. You can rent bicycles from outlets in St Peter Port and also along Guernsey's north coast. The bus network covers all the island's parishes and major attractions. A Guernsey sightseeing route, The Guernsey Vaeux (numbers 91, 92, 93), goes all the way around the island, allowing visitors to get off at various attractions. The flat fare is £2 for all journeys of any distance on all routes; children three and under go free, older children pay the flat rate. There is also a range of travel passes: from £4.50 for a one-day pass, to £38 for a seven-day family pass, good for two adults and up to three children. Main international car rental outlets have branches at the airport, as does the local Value Rent a Car. Scooters and motorcycles can be rented in St Peter Port. Speed limits on Guernsey vary from 12 to 15mph in town to 25 to 35mph elsewhere. There are many narrow county lanes with passing places and blind corners. In fine weather, motorbiking or scootering around Guernsey is hugely enjoyable, plus parking is easier. Castle Cornet. The 800-year-old castle is set on a piece of land jutting out into the sea. The unique location makes for a peaceful walk around the grounds. Along with traditional beach pursuits such as swimming, windsurfing and rock-pooling, there has been a growth in adrenalin-fuelled activities such as sunset abseiling, cliff face rock-climbing or coasteering explorations. In an effort to draw more tourists, Guernsey has been attempting to change its traditional image as a somewhat sedate, sleepy backwater, best known for offshore finance and Guernsey cream teas. 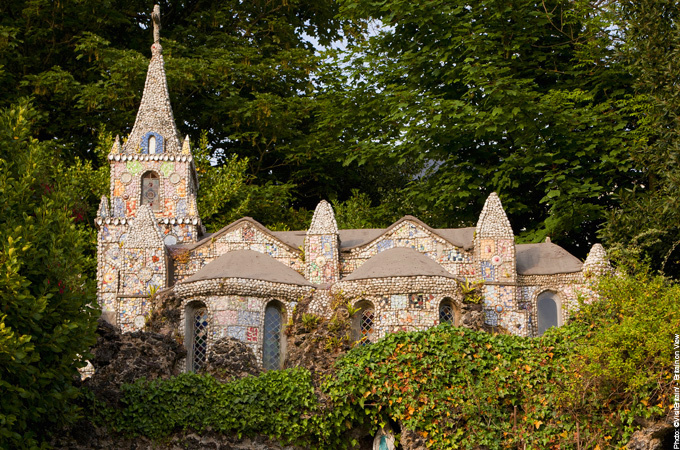 In the unlikely event you tire of the coast, Guernsey has monuments ranging from eerie Neolithic tombs to Napoleonic towers and World War II bunkers and tunnels − potent reminders that the Channel Islands were the only the parts of the British Isles occupied by German forces. Guernsey may be the most densely populated of the Channel Islands but it retains quaint rural lanes, fine sandy beaches and miles of spectacular cliffs in the south. The island has one of the largest tidal movements in the world, with waters retreating twice a day to reveal large expanses of golden sands and lunar-like seascapes, pierced with rocks and reefs. Tasty Walks is a series of 20 self-guided walks which make the most of the very best the island has to offer - its stunning scenery and fabulous food. Whether it's the rugged south coast cliff paths, the long sweeping bays of the west or uncovering the historic past of the island's capital, the island has much to offer in just 25 square miles. When searching around for information on how to get a good exchange rate when sending money to Guernsey you need to start with finding out the latest British Pound Sterling foreign-transfer exchange rate. Once your funds are received by the provider the converted GBP amount will be transfered to the recipient account you specify in Guernsey.